A Qantas first class ticket already covers your access to the best airport lounges on the ground – or failing that, the same can be had via a Qantas Platinum membership – but for those frequently flying at the very front, what more does a top-tier Qantas Platinum One card provide? Here are five perks for Qantas Platinum One cardholders that go beyond the normal first class experience. This complimentary membership will remain in place for as long as you continue to be a Platinum One member, and the nominee’s year-end date for membership will align with your own, but you can change your nominee once per year if you desire. Naturally, it makes the most sense to request this status as soon as you reach Platinum One, rather than towards the end of your membership year: especially if your travels are decreasing and you’ll soon be back to Platinum yourself. While your nominee benefits from all the usual perks of Platinum when travelling on their own, when it comes to first class lounge access, travelling together with your Chosen One also has its perks. 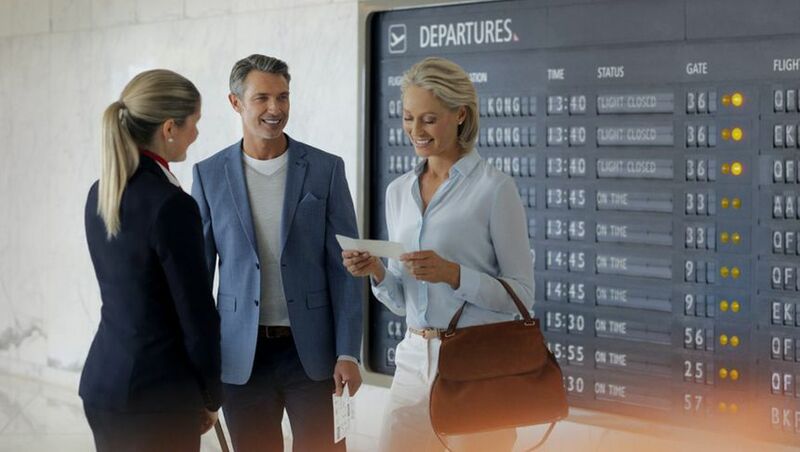 Namely, as each of you can bring one guest into a first class lounge – and your companion isn’t entering as your guest, but using their own Platinum membership – your Platinum One status enables up to three other people to enter the lounge when travelling together. That’s you as a Platinum One member, your complimentary guest, your nominated Platinum cardholder, and their complimentary guest: particularly useful when travelling as a family or in a larger group, when not everybody is flying first class, or where first class isn’t available. Although both Qantas Platinum and Platinum One frequent flyers earn the same number of frequent flyer points on their everyday journeys, Platinum One members are rewarded with up to 175,000 bonus Qantas Points every membership year over and above what a Platinum member can earn, and a target within easier reach of those regularly flying first class. Amass 5,000 status credits from Qantas and Jetstar flights in a single membership year and you’ll receive 75,000 bonus Qantas Points: more than enough for a one-way business class flight from Sydney to the likes of Shanghai, Beijing, Tokyo, or destinations closer to home like Singapore and Hong Kong. Push that further to 7,000 status credits in a single year from Qantas and Jetstar flights and you’ll get a further 100,000 bonus Qantas Points – covering a business class flight from Sydney to Los Angeles or San Francisco. Combine the two and that’s more than enough for a return business class jaunt from Australia to Asial; a one-way first class ticket to Los Angeles or Dubai; or a one-way business class flight to anywhere on the planet, with Qantas and its various partner airlines. Tried spending your hard-earned Qantas Points on a reward flight via the Qantas website, only to find that there’s nothing available? On routes operated by Qantas, Platinum One members have an extra card up their sleeve: being able to call Qantas and request that a reward flight be made available to them, even if that flight isn’t otherwise open for booking using points. This includes long international flights in first class for both the Platinum One member and their immediate family members travelling with them, with requests made by calling the Qantas Premium Reservations team via the number on the back of your Qantas Platinum One membership card. There’s no guarantee of success, of course, but being able to request seats when there’s otherwise nothing suitable available is a nice move to keep in your back pocket: and although many Platinum members experience success in making the same requests, ‘officially’, this is a published benefit of Platinum One and above. Whether you’re travelling in first class with your family back in business or you have family members making their own travel plans, when you request a points-based upgrade for them from your own Platinum One account, their upgrade will receive the highest priority: the same as a Platinum One frequent flyer. On international flights, that means potentially having the upgrade clear seven days before departure, rather than in the final 24-48 hours as most other travellers would experience. Given eligible family members can transfer points between themselves at no charge, if anybody in your immediate family is planning a trip, there’s nothing stopping them from transferring their points to you and having you request the upgrade on their behalf. Of course, if you have ample points to burn and are happy to share the rewards, that’s fine too. 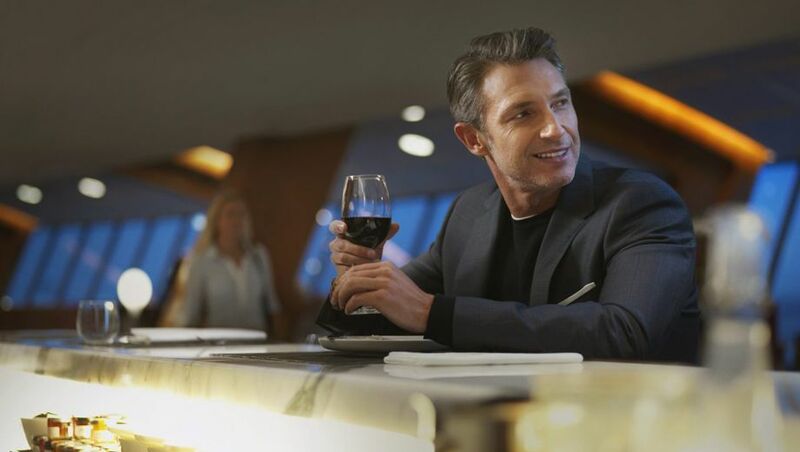 As a Platinum One frequent flyer, you can already bring one guest with you into a Qantas First Lounge – not to mention your Platinum-grade partner or friend plus a guest of theirs, when all travelling together – but beyond that, you’ll also receive two Qantas First Lounge passes every year. These can be used to bring even more guests into a Qantas First Lounge when those guests are travelling with you, or gifted to a family member, friend or colleague to use when flying on their own. Each pass is valid for one person and one lounge entry, and although these are best-used for first class lounge access, they can also open the doors to most Qantas international business class lounges, as well as domestic Business Lounges and Qantas Clubs. 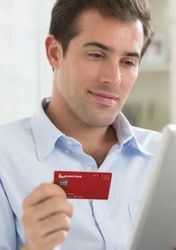 Platinum One members can manage, use or gift their complimentary lounge invitations via this page on the Qantas website. I'm not quite sure the Family Upgrades info is correct. My understanding, from recent dealings with the P1 SST, is that whilst family upgrades are assessed at P1 priority, they are actually processed in line with the family member's own status timeline. For example, if submitting a request for my mother (QF Gold), her upgrade request would only be considered 24hours out, but likely at the top of the Gold pile due to the P1 priority. Unless requesting a family upgrade for a fellow P1, I don't think there's a chance that it would be confirmed up to seven days prior to departure. Yes Brett is correct around the way the P1 upgrades are processed for family. The family member only gets given P1 priority when their upgrade is assessed. So a P1 requesting an upgrade for a Plat or Gold family member has very little benefit other than maybe putting them to the top of the Plat/Gold upgrade rankining. However if the family member is Silver or Bronze then it’s very beneficial as they will have their upgrade assessed at 24 hours but be given priority over Golds. I’ve also had a gate agent tell me that when the upgrades are processed at the gate, if you’ve had an upgrade requested on your behalf from a P1 it doesn’t show P1 priority, just the travellers own upgrade priority. So I think that benefit only works for upgrades assessed in advance. I have however as a P1 had this done for both domestic and international flights. I have secured confirmed domestic upgrades for travel in august for my parents on there booking by calling the P1 team and upgrading using my points balance, and have had intentional business upgrades confirmed for my partner a few days in advance also in this matter. I’d love to see an article comparing P1 benefits to other top tiers on oneworld partners and what you need to do to earn them. AA hands out upgrades for free and on the face of it look easier to obtain.... but that’s just a gut feel Anyone done this analysis? There are some comparisons in Flyertalk. However, it depends what you want to get out of the programme. Yes, AA (like the other legacy US carriers) hand out upgrades all the time - but they don't provide lounge access for most domestic flights even for travellers in the premium cabin, and the upgrades don't work on partner carriers. Some features prevent direct comparison - for instance BA and CX award status on a tier points system meaning a shorthaul business class flight might earn more points than a midhaul economy flight, so it is a lot harder to work out whether X miles of travel per year will get you status. Some give earnings bonuses for higher tier members but others don't. Some give partner cards and others don't. Many require a certain number of annual flights to be on their own metal. Some reset your qualification points to zero each time you reach a membership tier meaning you can't jump straight into the top tier by obtaining the qualifying threshold in one year - e.g. with CX you have to earn Silver (reset), then earn Gold (reset) then earn Diamond; whereas with others such as BA and MH if you obtain the qualifying punters/miles in one year you can go straight to the top tier. Some offer lifetime memberships, others don't. Others allow you to "top up" your tier level if you are just short of a qualifying threshold by buying points (Finnair does this, for example). There are many other differences. You may also wish to think about the ease of earning and burning redemption miles for your personal travel and how easy it is to top up your points through partner credit cards etc. Unfortunately, that means the only sensible way to make a comparison between programmes in order to work out which is best for you is to work out your likely travel patterns (looking some years ahead) in as much detail as possible, work out what benefits are important to you, and then work through each programme to see which one gives you what you want most easily. By the way does anyone else think it is amusing that a column designed to be a "Business Travel 101series for newcomers to the world of business travel" is taking about perks for PlatinumOne members flying First? I rather suspect the vast bulk of them are not newcomers to business travel by a long chalk! I'm well aware of the differences between DOM and INT upgrade requests. Even someone with Bronze status can have a domestic upgrade confirmed on the spot if there is U class availability at the time the request is made. There is a chance, in some instances, that an international upgrade for someone without Platinum or Platinum One may be confirmed slightly further out than 24 hours, but this seems to be restricted to instances in which the pax loads are light and QF are not expecting much more in the way of rev bookings. Only Platinum Ones would have their request assessed at 7 days out (even though this doesn't guarantee it would be successful at this stage). Whilst it gives a family member P1 priority in the upgrade list, it doesn't change their processing time. The time of processing is based on the status of the actual pax flying. Comment on "Top five benefits of Qantas Platinum One for first class flyers"